AQUAFORCE utilises an innovative ingredient, Moisture Magnet AQ, targets at the uneven lamellar structure and strengthens the skin’s ability to lock in moisture. It is drawn to the moisture gaps in the corneal layer to provide a thirst-quenching effect that enables an instant sense of abundant moisture in the skin. Furthermore, its strong attraction powers capture and hold a rich amount of moisture, creating a reservoir within the skin to relieve inner dryness. 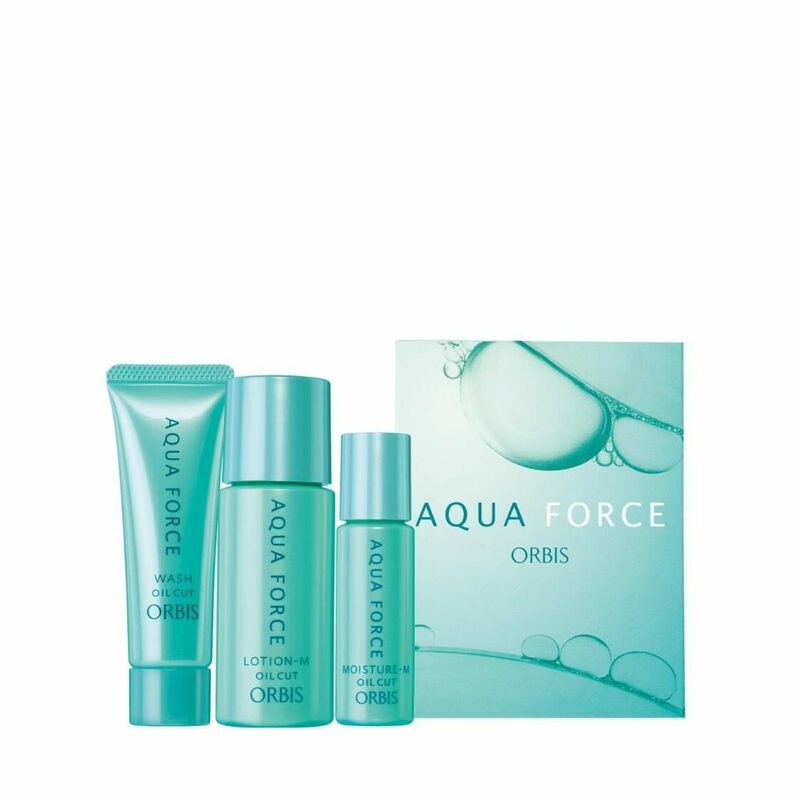 The AQUAFORCE Trial Set is a 3-step trial set with an approximate usage of 3 weeks. M type is suitable for users with normal or dry skin. - Use after cleansing. Squeeze about 1cm onto palm and lather with water. - Massage gently onto damp skin. - Use after facial wash.
- Pour a half teaspoon amount onto palm and gently apply to entire face. - Use after lotion. Dispense 1-2 pumps and smooth over entire face. - Apply additional amount over areas of concern such as eyes, mouth and forehead.